The easiest way to get stuff from your phone to your computer, or from the interwebs to your phone, or any combination of vice-versa is through Dropbox. You don’t want to have to email yourself back and forth, and deal with attachment sizes, etc., when you can simply upload to Dropbox and ta-da! It’s wherever you want it to be. 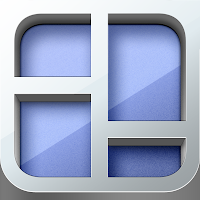 Share playlists of MP3s, folders with colleagues, profile pics, etc. Really the first PAID app that I plopped my $1.99 down for immediately once my friend showed it to me on her phone. You thought Instagram filters were cool? Pfft. They’re NOTHING compared to what you can do with Camera+! Simple stuff like cropping and rotating, plus a battery of amazing preset processors (“Clarity” will change your world (but don’t use it on portraits– NOT flattering! )), plus all those cool filters WITH ADJUSTABLE SLIDER CONTROLS so you can pick a filter and then dial it back for a more subtle, controllable effect. Genius! Cost: $1.99 and worth it! Sure, it’s less “essential” and more “fun”– but once you have the power to identify any song within earshot, you’ll be using this bad boy all the time. It’s the Google of “ohhh who sings this? !” moments. Remember when smartphones erased “crap, who was in that movie?” moments with the ability to instantly IMDb any queries? Shazam will do that to your listening life. It’ll even identify TV shows! Compatable: iPhone/Android: Anywhere with decent sound quality. 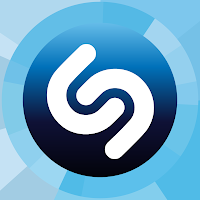 Noisy bars might not always result in a match, but most everyday situations will be clear enough for Shazam to tag the right tune. Even if you are one of those people who is creeped out by location sharing apps, you should STILL install Foursquare. 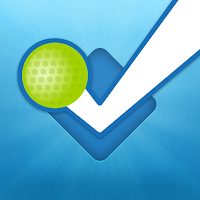 Because even if you never check in anywhere, Foursquare is super useful for checking out what’s going on around you, especially in a new city or a place you don’t visit much. Under Explore, you can search a restaurant you’re considering visiting and see tips people have left there, ranging from which waiter to steer clear of, what to order that’s really good, or weekly specials. Of course, the more friends you’re connected to, the more personal the Explore feature is, ranking places by how much your friends like them, or where they all check into the most. And if you ARE willing to actually use it to check in, don’t worry, only friends you specifically approve on Foursquare can see your updates (as long as you set up your privacy settings correctly at the beginning), and you might unlock great specials and discounts where you check in, as well! Yes, that’s right. I’m the Mayor of Awesome. If you are in Portsmouth, hook up with Portsmouth Foursquare for even more extra awesomeness! Own a biz? Claim your venue on the website! 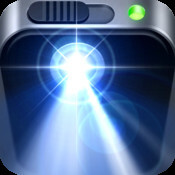 The instances in which you could use more light far outweigh the times that you find yourself with an actual flashlight, so therefore, this app is going to get used a lot. I use it all the time. In fact, I have it as one of my four docked apps on my phone. Bam. BONUS: You can now adjust the brightness, so it can be as dim or as powerful as you like! Once you start taking pictures of EVERYTHING you’ll need Frametastic to make your Instagram/Facebook/Twitter photos more efficient. You can still share 3-5 photos of one thing, but in only one update, so your friends and followers won’t be flooded with separate images. You’ll start shooting with Frametastic collage layouts in mind, much like you start shooting with a square crop constraint in mind once you get hooked on Instagram. You can adjust layout options, border width/color, rounded corners, etc. If you’re like most smart phone users, you’ll end up using your phone as an alarm clock more often than an actual clock. The native Clock app comes with an alarm, but this one comes with very lovely screensavers and myriad customizable options. Slide up or down to dim the display, touch & hold to change background, etc. Lovely interface! 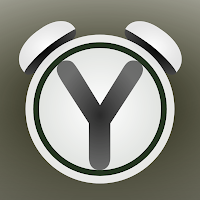 Of course, you can set alarms at various times for different repeatable days of the week, and you can use any song in your iTunes account, and even create a special Wake or Sleep Timers. Like all third-party apps, you have to leave it running in the foreground at night for it to play the tunes to wake you, but that’s what the Sleep function is great for– play a customizable sleep playlist set to play for a specified time before fading out… and then your alarm fades in come morning! If you don’t remember to leave it running in the foreground before bed, it’ll still go off, providing your phone isn’t muted, it’ll just be an obnoxious beep instead of your playlist/selected melody. This is definitely the coolest and prettiest weather app. I just found out about this from BoucherMedia the other day and I plopped down $1.99 once he showed me what it did. It’s not just the information that made me love this app, it’s the UX… it’s so purty! Slide up the screen to see the forecast out for up to 24 hours; sswipe down to see the next three days; pinch to see up to four different locations, tap or zoom to go back to one city. SOLAR – Available Monday July 23 for iOS from Kuro on Vimeo. 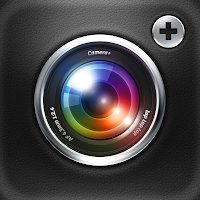 Wonder how I made all those nifty arrows and notations on the screencaps for Camera+ and SoLAR? Skitch, my friends. It’s finally come to iPhone! (I’ve been using it on my Mac forever, as evidenced by this previous blog post.) It’s super helpful for annotating photos/screencaps, and it syncs with your Evernote account so all Evernote users’ Skitches will always be available on all your platforms at any time! Arrows, text, freehand drawing, circles/rectangles, highlighting, and a very helpful pixelator for blocking selected areas containing sensitive/private info/photos! And finally, we reach my favorite app of all time. 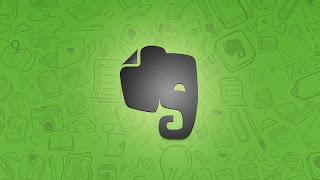 Evernote. 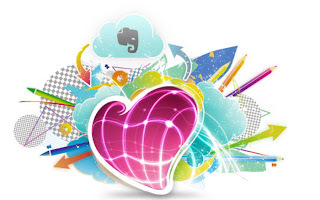 I can’t begin in this post to go into all the amazingness that Evernote will bring into your life. I’m giving a presentation later this month on how to use it to organize your life, so if you’re in the area, please come! I’ll post a web version of the presentation here on the blog afterwards, so come back in February for a longer explanation of how to use Evernote to be super awesome. In the meantime, check out their blog if you want to get started learning Evernote. FOR FREE: You can store notes/web pages/photos in Evernote, and your monthly data upload allowance only applies to what is uploaded in the current month—the accumulated data stored in Evernote is unlimited. Use it as a dumping ground for lists, to-dos, ideas, drafts of letters/blog posts, recipes, photos, articles, quotes, screencaps, business cards, contacts, &c., &c., &c.. Depending on your level of motivation, you can implement as simple or as complex a system of tagging as necessary, but the search feature in Evernote is probably its best feature– even without titles, tags, or various notebooks, you can locate anything you put in it within seconds, and it even searches text IN IMAGES with a built-in OCR that is incredibly decent. IF you decide at some point to GO PREMIUM: you can also add Word/Excel docs, PDFs, etc., and have the ability to share notebooks or notes. The nice thing about sharing is only ONE Evernote user has to be a Pro user to share; for example, I’m a Pro user, so I can share with anyone and they don’t have to be a Pro user; they can simply have the free version and all sharing functions work on their end, too! Also, your monthly data upload allowance goes up, but that was the least of my reasons to upgrade since I never came close to my limit before anyway (Premium users can also increase their monthly allowance at $5/Gigabyte in any given month). Anyway, I could go on and on, but obviously I love Evernote, and think everyone should use it. You can also use it sort of like Dropbox and store stuff there without ever worrying about accumulating too much data. Whelp, those are my top 10 picks for smart phone apps. Did I leave out a favorite app of yours? Leave it in the comments, please!